1. Russia continues to signal diplomatically that she can be talked into throwing Syrian President Assad overboard! Remember, Russia, Europe, the United States, and China have been "acting in harmony" since early 2001 to aggressively overthrow the entrenched dictators who are inhibiting progress toward a global government and cashless economy. 2. Republicans may have received their #1 campaign issue for 2016! Some ObamaCare Coops are collapsing! 3. Radical Feminist Gloria Steinem declares her unwavering support for Hillary as President. Now America has a new Transgendered Goddess (Caitlyn Jenner) and a new political goddess (Hillary Clinton) -- and all in the same year! 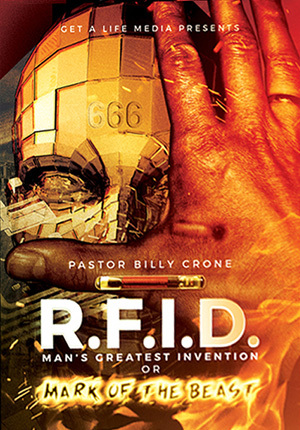 "RFID - Man's Greatest Invention, or 'Mark of The Beast'?" This device is being heralded as a silent revolution, a state of the art global tracking device, and as significant of an invention as the Internet or even the computer itself. What is this device? It's none other than RFID. But with all the hoopla aside, the question we need to be asking ourselves is this, Is RFID man's greatest invention or Mark of the Beast? Yet the irony is that even though this technology is sweeping the planet, hardly anyone, even Christians, have any idea what it is in the first place, let alone its Biblical ramifications! Therefore, this series takes a look at three things to equip you with the facts concerning this planetary tracking device. 1) First you'll see the Definite Concern of RFID and what this technology can do as well as what the corporations will do. 2) Secondly you'll see the Dangerous Deployment of RFID and its current and planned usage to monitor and track everything from retail, food, shipping, transportation, medical, government, money, and everything else in between. 3) Thirdly, you'll see the Dark Future of RFID with not only plans to monitor and track animals with an RFID implant, but humans as well. This technology is not a science fiction scenario of the future; it is present day reality with today's technology called RFID. And that's why the Mark of the Beast is not only real, it's really going to be implemented just like the Bible said. In fact, it might be sooner than you think. "Moscow's mixed messages on the future of the Syrian president is fuelling speculation that it might be preparing to desert its long-term ally." First, Russia made it quite clear that her purpose for sending military forces into Syria was NOT to save President Assad. But, most of the world believed the Russians were trying to save Assad from being overthrown. From the beginning, Cutting Edge believed that the real purpose of the Russian military was to intercede between Assad's forces and the forces of the rebel militants fighting him. In the week before Russia intervened in Syria, President Assad's forces began to register some real gains on the battlefield, while the rebels facing him suddenly began to look as though they could fall apart. Since the objective of all the wars in Afghanistan (2001), Iraq (2003), and Tunisia, Morocco, Libya, Egypt and in Syria, is to overthrow all entrenched dictators, Assad simply had to go. If Assad won this war outright, and reoccupied all of Syria, he would remain entrenched in power. And, based upon Revelation 17:12, 17, President Putin and Obama were "acting in harmony" to achieve this goal. Second, Russia made it quite clear that another goal was to create an international conference designed to force Assad from power. "At the end of the month, Moscow’s efforts for an international conference to confirm Assad’s short-term hold on power produced a meeting in Vienna ... (is Russia) preparing to ditch the Syrian leader?" 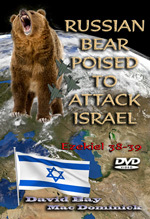 Once again, we must keep our eyes on the prophecy unfolding before we jump to conclusions about world events. Once Assad is toppled, only the dictatorships in Saudi Arabia, Qatar, Bahrain, and the UAE will remain. 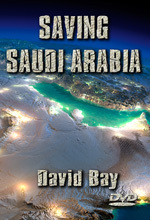 But, the fact is that, once Saudi Arabia falls, the other small dictatorships will be quickly removed. 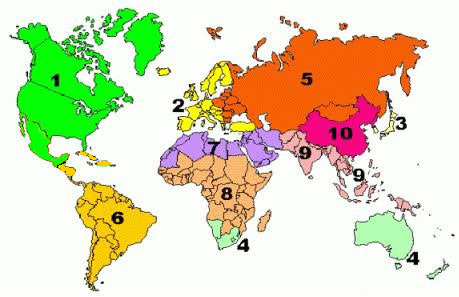 Remember, Saudi Arabia is geographically part of Supernation #7, shown in this map in purple. No entrenched dictatorship can be allowed to resist the call to surrender sovereignty to this regional government. Therefore, they all have to be removed, every single one. Now you know why American President Bush lead an unprovoked attack against Afghanistan and Iraq. It was never about the oil; rather, it was all about the prophecy being fulfilled, and that is worth all the world to a Bible-believing Christian, don't you think? "When ye see these events beginning to occur, lift up your heads, for your Redemption draweth nigh"! 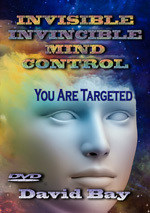 New DVD by David Bay and Mac Dominick - ! 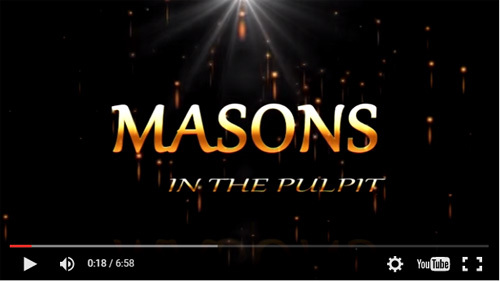 If your church allows Masons to fill the pulpit, or be Deacons, or Sunday School teachers, you have a very serious spiritual problem with Almighty God. The Holy Spirit has written 'Ichabod (The Glory Has Departed)' above your front door! While Freemasonry has successfully deceived a great many people, convincing them that Freemasonry is compatible with Christianity, God knows the Truth and is not tolerant of Masons In The Pulpit. We begin at a very reasonable beginning premise: If a pastor refuses to resign from the Masonic Lodge he does so because he feels greater loyalty to the Lodge than to Jesus Christ. 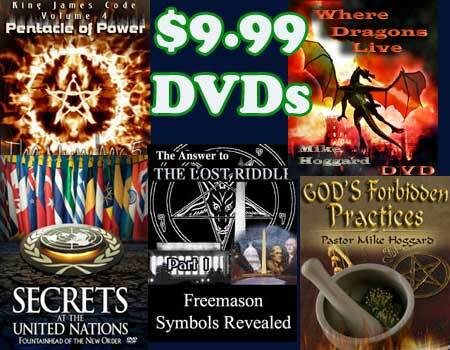 Starting from this premise, we examine a number of key Masonic teachings and then ask the Pastor how he can reconcile these teachings with Biblical Christianity. We ask, 'Mr. Pastor, when you are teaching key Biblical doctrine, are you really thinking of the radically different teaching of Freemasonry? Prime Example: Freemasonry teaches that its religion is far superior to any other religion on Earth, including Christianity. Mr. Pastor, are you thinking how superior Masonry is to Christianity when you are teaching Biblical doctrine. 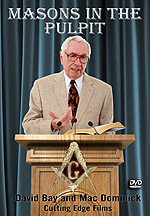 Second Example: Freemasonry teaches that it is necessary for Lodge leaders to deliberately lie to their people until they are 'mature enough' to comprehend and accept the truth; Mr. Pastor, when you are teaching key Biblical doctrine, are you secretly thinking that it is necessary for you to teach these 'lies' about Jesus and the God of the Bible until your people are spiritually mature to comprehend the true Masonic doctrine? We prove that a Holy God cannot tolerate Masons in the pulpit of a church for which His Son, Jesus, bled on that cruel cross of Calvary. 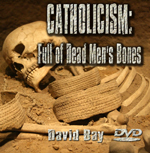 Authors are Mac Dominick and David Bay.! "A key piece of the Obama administration’s plan to control the health insurance market is in a state of collapse. With it will go the philosophical underpinning of big government solutions to private-sector problems--and that will pose a core question for voters in the upcoming national elections." "In the original plan for the Affordable Care Act (ACA), better known as Obamacare, Democrats wanted to include a 'public option' in the health insurance exchanges – a government-run plan that advocates claimed would guarantee affordable access. 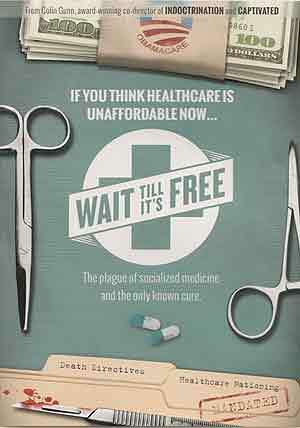 To critics and consumers, it looked like an end run to a single-payer health care system." At this point, Conservatives jumped to the attack, because single-payer government systems have repeatedly failed in recent history. Why can't we simply leave the most successful health care system in world history alone? As my Daddy used to love to say, "If it ain't broke, don't fix it"! "When it became clear that the public option would be a non-starter, Barack Obama and Democrats in Congress settled on a compromise: health insurance co-ops ... The co-ops remained an important component for advocates of the government-controlled system, both as a check on for-profit insurers and as a proof of concept for excluding profit-based coverage entirely at some point." When this clearly faulty Fascist Government Health Care System was ready to be debated and voted upon, no Republican voted in favor, thus requiring the Democrat Party to supply every single vote to pass this hornswoggle! For all history, ObamaCare will be a Democrat Party millstone hung around America's neck. In the meantime, how are Democrats reacting to this beginning collapse of ObamaCare? They are running for the hills! "After five years, two midterm disasters, and a rollout that reminded Americans why they fell out of love with big government in the 1970s, reality has finally begun to dawn on some Democrats about Obamacare. With open enrollment about to start and a third straight round of premium spikes about to hit voters’ pockets, the Democrats’ leading presidential candidate has offered a “major break” with the Obama administration on its signature domestic policy achievement." Who is that "leading presidential candidate" now speaking out "against" the very bill she championed not too long ago? You guessed it! "Hillary Clinton will speak out against the so-called Cadillac tax on high-coverage health care plans, as early as this week ... the Cadillac tax on high-coverage plans is a key to Obamacare, both fiscally and philosophically, and Clinton’s coming attack on it shows just how much of an albatross the entire system has become for her party." In the minds of most people, two words carry so much emotional baggage that people cringe whenever they hear these Apocalyptic words. 1) Armageddon; 2) World War III. In the past 20 years, whenever a battle begins in the Middle East or whenever a verbal confrontation breaks out between major powers, 'gloom and doom' scare-mongers immediately begin to shout 'World War III',much like a person yells 'FIRE' in a crowded theater. 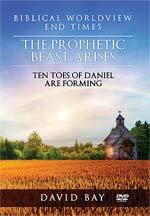 Bible prophecy reveals that Antichrist will be produced on the world scene by a number of signs, including 'wars and rumors of wars'. 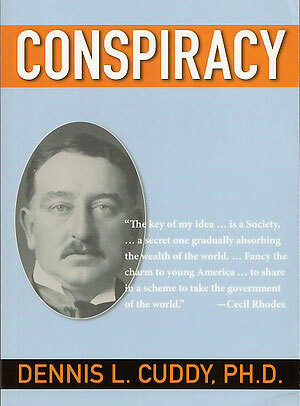 Demonic familiar spirits told the Elite in 1870 that three world wars will be needed to produce Antichrist. 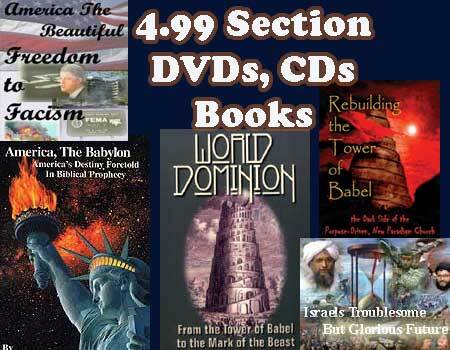 Make no mistake about it: Antichrist will be produced by World War III. Therefore, the question of the hour is, 'when will this global war begin' and 'what are the signs it is about to commence'? Many major events are planned to occur just as World War III begins. 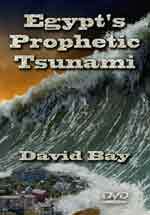 Mankind will be systematically hit with unparalleled disasters of every kind as this planned global war unfolds. 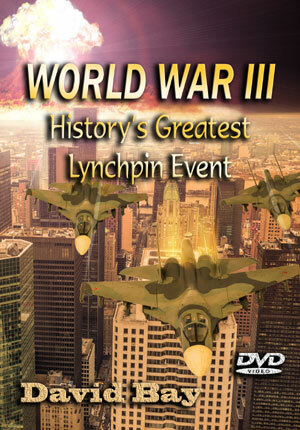 But, none of these events will occur until the lynchpin called 'World War III' is pulled. When the Global Elite pulls this lynchpin event called World War III, events are going to be unleashed in such severity and in such great numbers the peoples of the world will not stand in awe, they will panic and run for the hills. 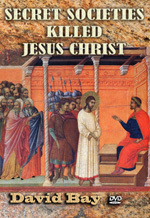 Jesus said that 'men's hearts shall fail them for fear', and the Elite is creating just such climactic events which shall not occur until the lynchpin known as 'World War III' is pulled. We will show you the 12 major disasters the Elite has created and is waiting only for the beginning of World War III to unleash them all, almost at once. 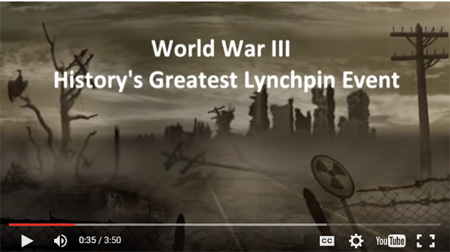 No one need fear that any of these disasters will jump across the starting line ahead of time; each awaits the 'pulling of the lynchpin', World War III. Then, Gloria declared her undying support of that other radical feminist, Hillary Clinton. "On being ready for Hillary in 2016: “I think we’re on the cusp of change, enough, so it’s possible. And Hillary, herself, as Secretary of State has contributed to our familiarity with women in that position ... Hillary Clinton, Maxine Waters, and Barbara Mikulski ... got elected because they represented a popular majority opinion. " God help this country if Hillary Clinton is elected!! Have you ever wondered how people like H.G. Wells seemed to know what was going to happen? These people either had to be privy to the plans of the power elite, or they were extraordinarily intelligent at figuring out what the secret cabal running the world had planned. An ancient saying 'Ordo ab Chao' (Order out of Chaos) applies to the power elite's machinations. And so as to make particular problems seem intractable, they select global leaders who feign incompetence. This is one way the American people are manipulated. In the end, the public really doesn't have much choice when it comes to political candidates, and the power elite controls both major parties. 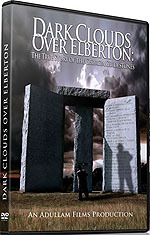 "Georgia Guidestones Mystery Revealed: Dark Clouds Over Elberton"
At Long Last: The mysterious 'R.C. Christian' who funded the massive Georgia Guidestones is revealed by Chris Pinto. Masterful research project finally pays off. The monument was named the Georgia Guidestones. Written on the great granite stones are ten commands or guides that were intended to provide New Age wisdom for mankind. 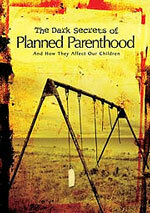 But the first of them calls for a reduction of the world population to a mere 500 million. Researchers have wondered for decades about the identity of R.C. Christian and the purpose of his mysterious structure. Was he part of a globalist group? Was he working with the United Nations? After a five year investigation, this powerful documentary presents groundbreaking information, and dares to solve the mystery of who R.C. Christian really was. This film is a must see for those who wish to learn more about the globalist use of environmentalism in the cause of population control. 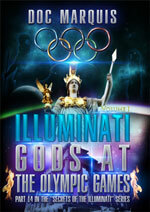 "Illuminati Gods At The Olympic Games"
Today's Olympic Games are dedicated to the ancient Serpent God of the global Illuminati, preparing the world for Antichrist. You will vicariously be taken back to the very beginnings of the ancient Olympic Games and then brought up to the very time in which Adolf Hitler inculcated into the 1936 Games the Illuminati's brand of occultism. You will then be brought to 1996 where the Illuminati began their tale of the serpent god, and through various occult practices and symbols prove that his return is imminent. 2 DVD set, nearly 4 hours long. Part 14 in the series, 'Secrets of the Illuminati'. 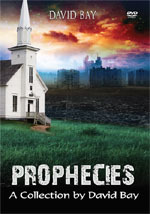 Prophecies Churches Are Ignoring - DVD Combo by David Bay - Volume 1 contains 3 DVDs with our first six programs. 89 Titles From Which To Choose! 27 Titles From Which To Choose!